Nearly half of Izgrev (a prime area)consists of protected green spaces, ensuring the municipality’s reputation as one of the city’s most environmentally-friendly areas. 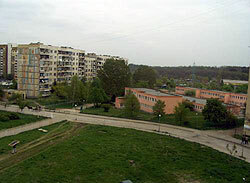 The three neighbourhoods within Izgrev are: Iztok, Dianabad, and Izgrev. 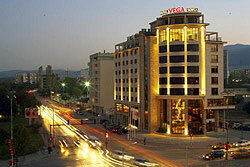 Izgrev has a dynamic urban layout which is divided between posh residential areas, industrial spaces, and foreign embassies, schools, hospitals, television headquarters, hotels, and bus stations. Sofia’s World Trade Centre, run by the state-owned Interpred to represent foreign companies in Bulgaria, is located in Izgrev. If you love waking up to fresh air and greenery, Dianabad may be the place for you. Although it was built over 30 years ago, Dianabad’s well-planned layout remains peaceful, and full of green spaces. The lovely area of Iztok is tucked into the eastern part of Sofia, and is considered one of the poshest addresses in town with some of the highest property values in the city. Along its northeastern area lies the best-known and one of the largest and best-maintained parks in Sofia, the Borisova Gradina. The park has a lake, a rose garden, a fountain and a quaint carved wooden house.